Ropes can be an important tool for fitness and exercise and can be used in different areas of training and exercise. 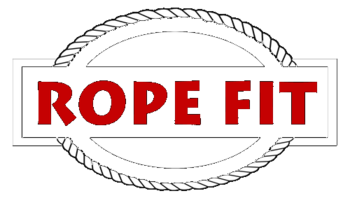 In fact, these ropes are extremely helpful during conditioning as well as skill development in a variety of sports such as basketball, football, cross fit, tennis, and so on. These can also be incorporated in other kinds of workout programs, including police/fire training, military, and can even aid in physical therapy as well. So how exactly can they be used in these areas? Depending on the different specialization and needs of these sports and training regimens, these ropes can be used in a variety of ways. It can be used to develop and build muscles, especially for increasing upper body strength, in sports such as baseball and boxing. Ropes can also aid in harnessing endurance and agility for basketball, tennis, and football. Even kids can get in on the fun when these ropes are incorporated into their playtime as well. Both beginners and professionals alike can benefit from the use of these ropes. It’s an effective tool in developing a certain skill set, building muscle strength, enhancing flexibility and endurance, boosting metabolism, and so on. Ropes are a very effective fitness training tool. They build the strength, endurance and agility that helps athletes excel at a variety of sports including football, baseball, MMA boxing and tennis. Discover how athletes across the country are benefiting from training with ropes. Baseball players enjoy increased upper body strength and a wider range of motion when they incorporate rope fitness into their training regimens. Military personnel use ropes as a light, portable fitness device for a quick workout on-the-go. Rope training helps you reach your maximum heart rate in less than one minute, making it excellent for weight loss and aerobically intensive activities such as surfing, Cross Fit and boot camps. Ropes are also a fun, innovative way to get kids interested in working out. Training with ropes is an effective way to boost your metabolism, enhance flexibility and build muscle. You can begin to incorporate them into your workout routine regardless of your current fitness level.